Information about your PSE bow is a phone call away. If you have questions about the age of your old Precision Shooting Equipment (PSE) compound bow, you can call the company's general support line to get help. The only information you need to give them is a number that can be found on a sticker located on the bow itself. Locate the data sticker on the PSE bow. The data sticker is located on the inside of the lower limb of the bow, near the handle. 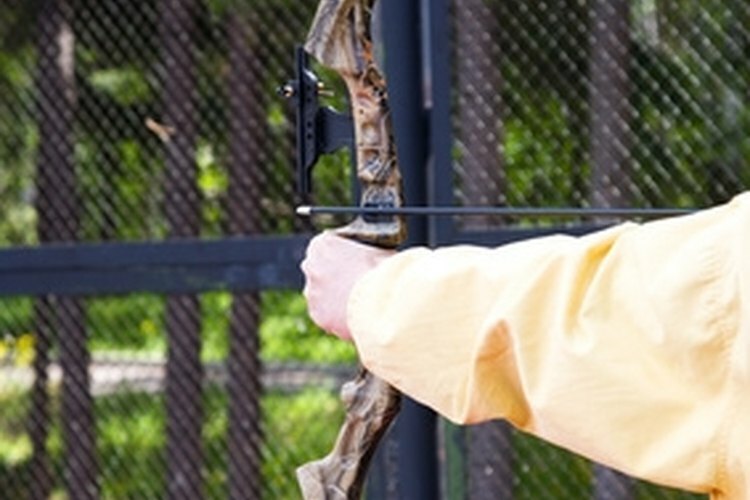 The data sticker identifies the bow and allows the manufacturer to access information regarding the bow such as its year, make and model. Dial PSE's customer support line at 520-884-9065. They can be reached Monday through Friday from 7 am to 3:30 pm (MST). Give the customer service representative the information located on the data sticker, and they will then provide the information requested regarding the bow. Gently wipe the dust and dirt from the bow limbs to clearly reveal the information on the data sticker. Tammy Bailey began writing while typing and revising procedural manuals for a bank corporation. Her clerical work eventually lead to a QS9000 writing project for an automotive parts manufacturer. Bailey's articles have been featured on numerous websites, covering topics in Southern living and cooking, holiday ideas, party and event planning, relationship issues and surviving corporate life.